The new green class of industrial cleaning technology has arrived. 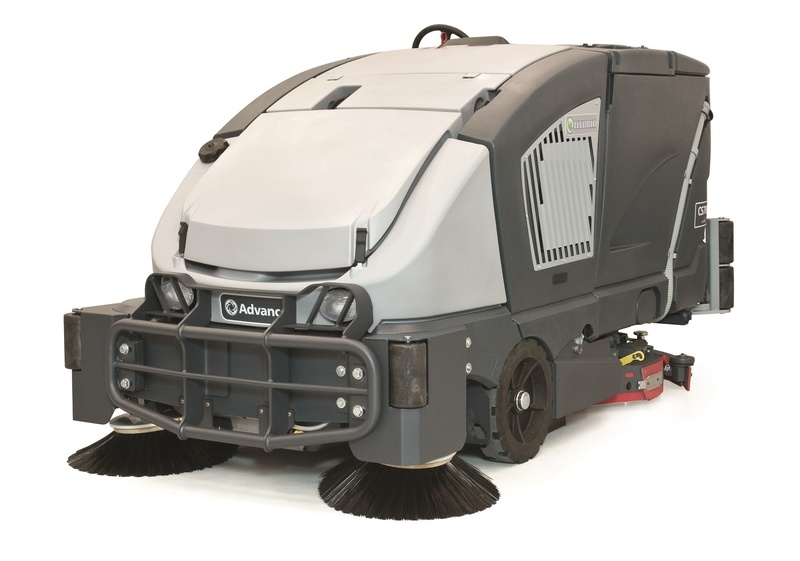 In a single broad stroke, the Advance CS7000 Combination Sweeper–Scrubber reinvents an entire class of equipment by reducing total cost of ownership — including operation, labor and maintenance, while effectively increasing fuel economy and runtime efficiency. Now, the most economical solution is also the most ecological. Available in three models, LPG-Hybrid, Diesel-Hybrid and ePower™ Battery, the CS7000 delivers unparalleled performance, while replacing power-hungry, high-maintenance hydraulic systems with efficient, state-of-the-art Electric Drive technology. Whichever model you choose, the CS7000 delivers a lower cost of ownership and the most sustainable cleaning solution in its class.